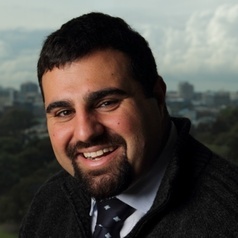 Fady Aoun (B Eco (Hons)/B Laws (Hons (Syd Uni)), PhD Candidate (Syd Uni ) is a lecturer in law at Sydney Law School. He is currently in his final year of his doctoral thesis at Sydney University. His research interests are intellectual property and corporate law. The image attached is owned by Ted Sealey.